I've been so blessed to have not one, but two amazing Moms in my life. One gave birth to me and the other gave birth to the love of my life. Although talking about my own awesome Mama could easily take up a whole post, I'm diverting my energy to the other Mom. My Mother-in-law. I am so blessed to have this woman in my life. There are times I feel that mother-in-law's don't always get the credit they deserve. I know many people that will disagree with me on this, but hear me out. I totally understand there are different circumstances for everyone, I do - and I've been privy to some pretty crazy, even horrific Mother in-law stories over the years, but I can't help feel the reason stories like these emerge in the first place is because perhaps we give up too quickly on them. Like any relationship, it requires work on both parts. It also requires a lot of honesty and communication. Some may seem pretty impossible, but it can be done. I would be lying if I said it has always been peaches and roses for us. Oh, hell no. We got to the stage we are at today because we worked at it - for 13 years, mind you, but we did. Sure, we drive each other super crazy, but it's different sort of crazy and when we argue, it's different. There's a higher respect that wasn't there in the beginning. At the end of the day, I know she's coming from a good place and she only wants the best for her kids. I look ahead 25 years. Right now, I'm a very lucky Mom to two spectacular kids; a gorgeous and hilarious daughter and sweet, precious little boy. I would be HEARTBROKEN if I didn't get along with my son-in-law and even more so with my daughter-in-law. Sometimes perspective creates a beautiful picture. I'm a lucky girl, but let's face it, she's a luckier lady. Not only because I'm like awesome sauce on top of a fantastically constructed sandwich, but I made her these doughnuts. A twist on a popular British combination from her most favourite child of all. Happy Mother's Day to all you lush Mothers. Preheat oven to 350ºF. 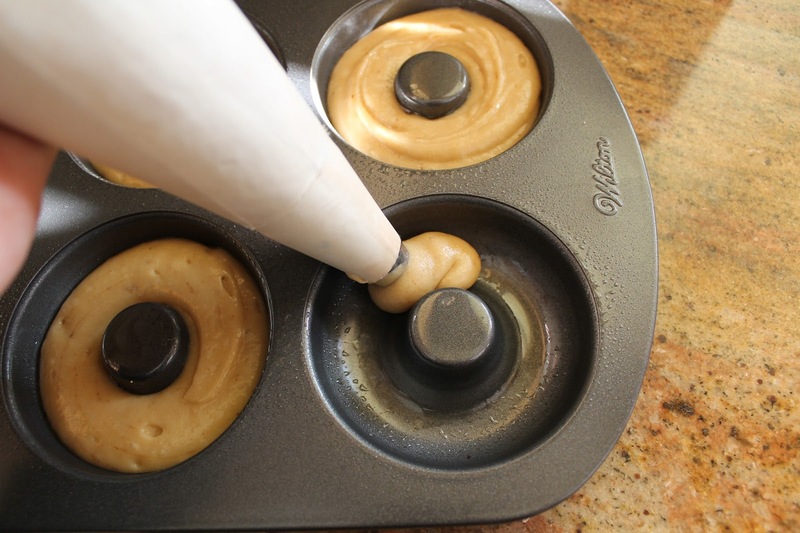 Spray a six-count donut/doughnut pan with non-stick cooking spray; set aside. If you have two of these delightful pans, please use both. Otherwise, you'll have to use it right out of the oven. This is what I did, so don't fret. 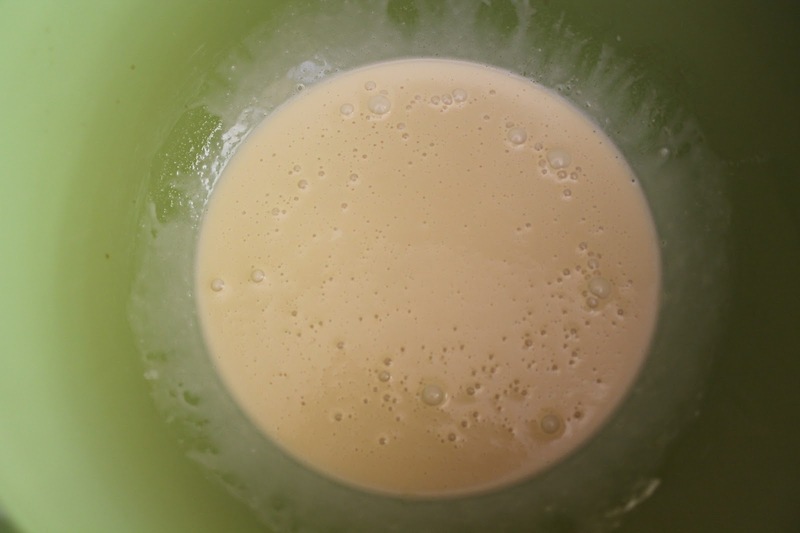 In a small bowl, combine yeast and warm water together. Allow to set for a minute and stir to incorporate. You should see small bubbles - this means the yeast is active. In a separate mixing bowl, whisk together flour, sugar, baking powder, salt and instant coffee; set aside. In another bowl, whisk together eggs, sour cream or buttermilk, melted butter, vanilla extract, and yeast. Once well incorporated, using a wooden spoon, add add dry ingredients to wet ingredients and mix well. Batter will be thick. 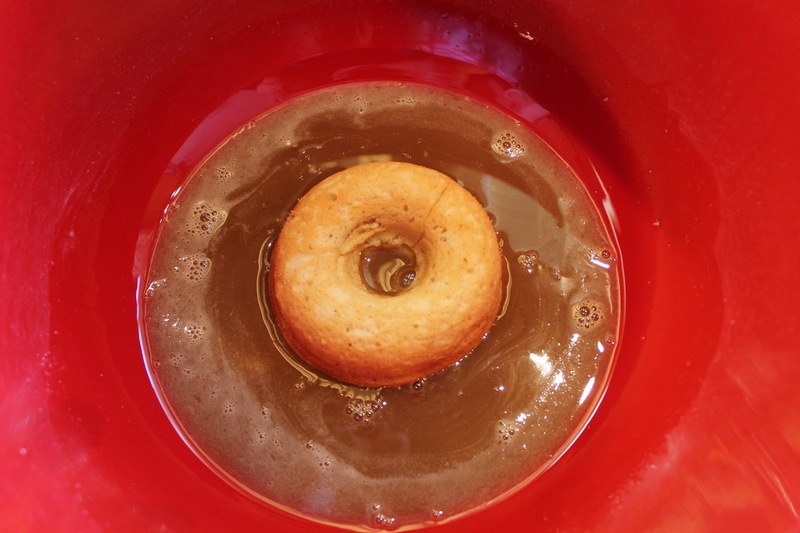 Transfer doughnut/donut batter into a piping bag. I attached a round tip to mine for a more precise piping. Fill wells in a circular motion, filling about ¾'s of the way. Bake for 10-12 minutes. The tops should be a bit springy. Remove from oven and remove doughnuts/donuts from pan. Place on a wire rack to cool. 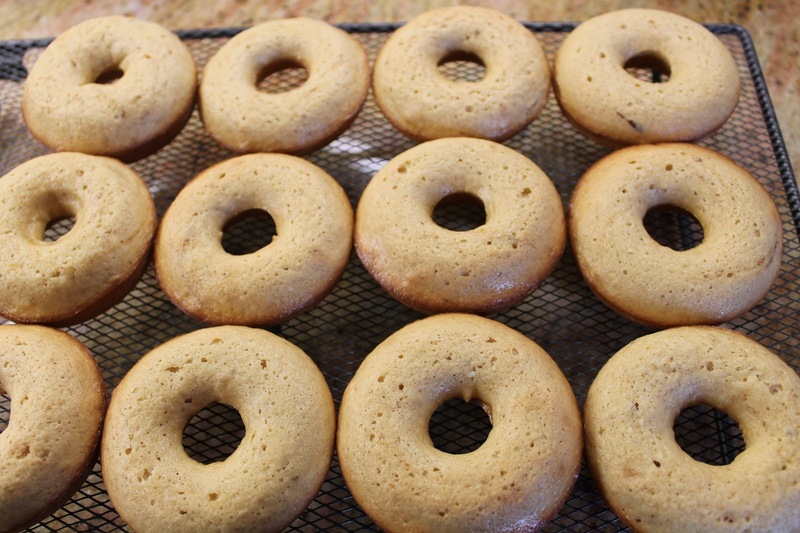 While donuts/doughnuts are baking, prepare glaze. 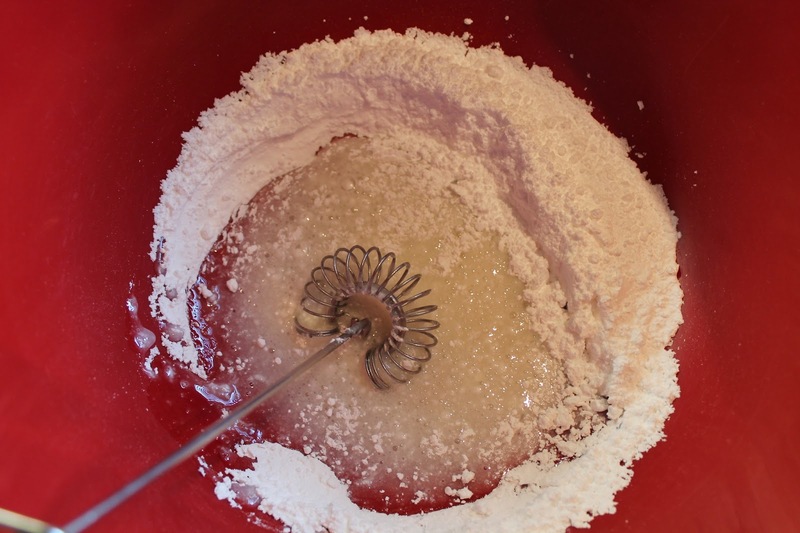 In a mixing bowl, whisk powdered sugar and milk together. Add in vanilla extract and coffee. Whisk until incorporated. Dip donuts in glaze and twist to coat. Do this several times to get a nice covering. Immediately sprinkle on walnuts and return to wire rack. Allow to set. Doughnuts/Donuts are best eaten same day they are made, but are still quite tasty the next day. Just be sure to cover them in an airtight container. I like my MIL as well. I know others who aren't so lucky. Doughnut won by a landslide. I think I was a bit obsessive with it is because my MIL is British and these were for her. I'm sure if I make them again, it'll change to donut. Oh I think your mother in law is one lucky lady to have you hanging around. Doughnuts are the way to anyone's heart! I am happy to hear your relationship with your MIL is a good one! Sometimes, people aren't as lucky, lol. 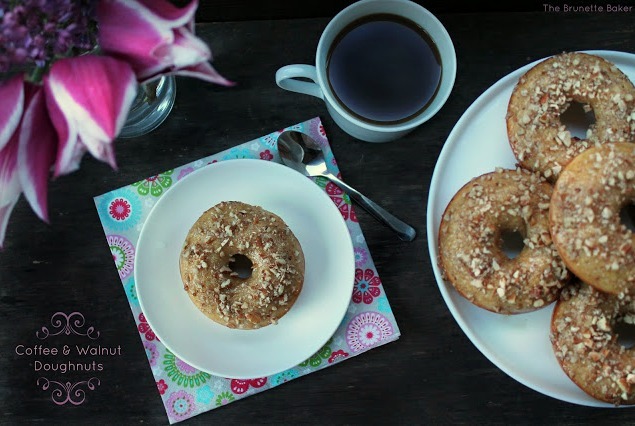 Thankfully, I am unmarried yet so I don't have to deal with another mama quiiiite so soon :) however, I WOULD like to deal with these donuts because OMG, I love donuts and coffee and walnuts is a winning combination! !